What would a course look like if it were designed collaboratively by students and faculty members? 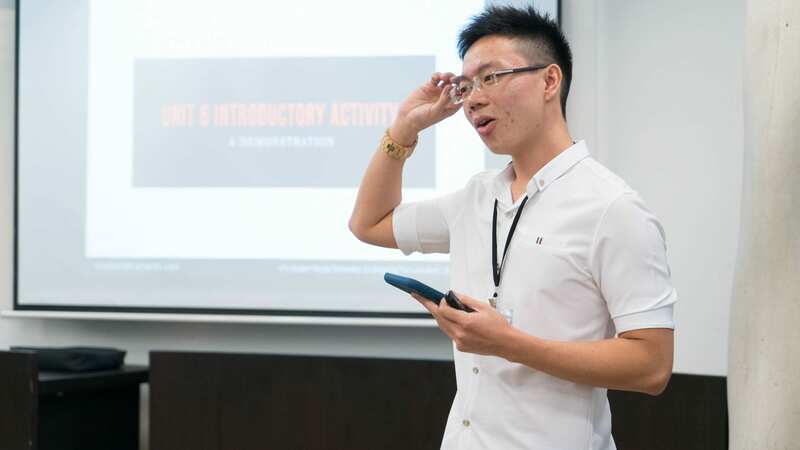 In May 2018, NTU’s Language and Communication Centre (LCC) hosted a conference to discover just that. 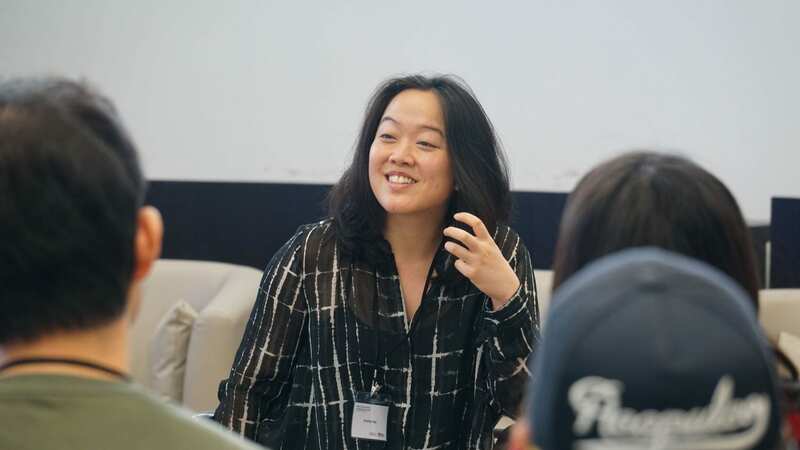 Headed by Principal Investigator Kristina Tom and her co-Principal Investigators Christopher Hill and Steven Adam, the conference was entitled ‘Student-Faculty Partnership: Co-designing the Curriculum’ and was held at the LCC Communication Cube at The Hive. 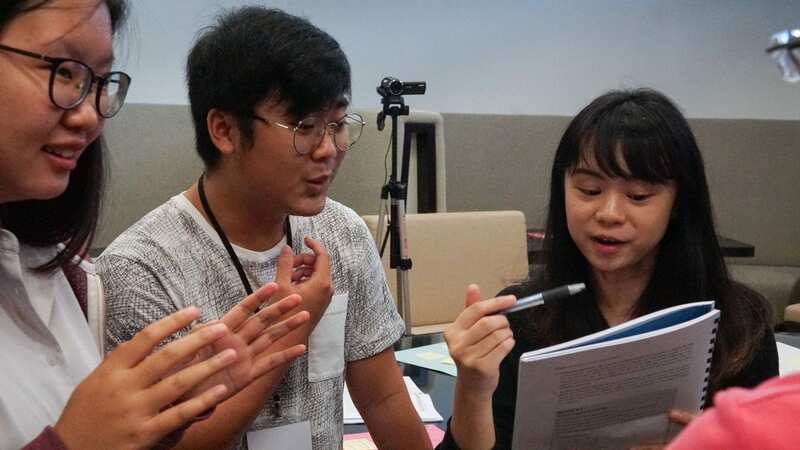 It brought together students, faculty, NTU librarians and the LCC’s course design team to work on HW0205: Academic Communication in the Humanities, a communication skills course for first-year English, History and Philosophy students. 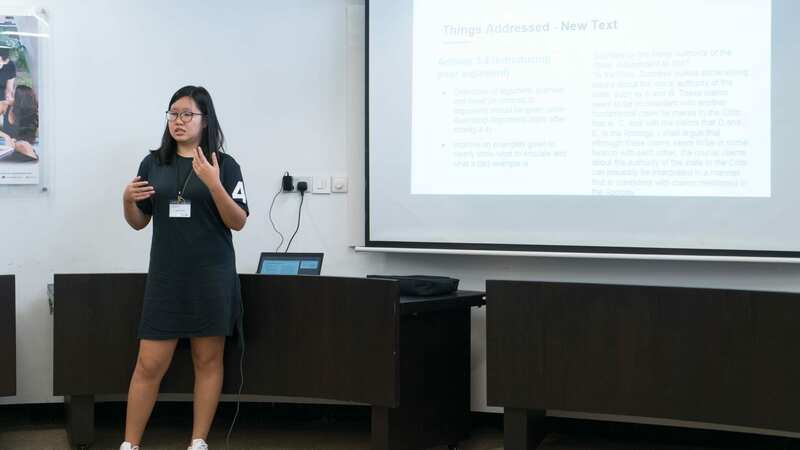 Over three days, a total of 26 participants representing five different groups across the Humanities at NTU (that is, three disciplines, one centre and one library team) worked together in a series of talks, workshops and discussion groups. Students worked throughout the conference to brainstorm improvements to the course guide. Over the course of the conference, students and faculty members of varied backgrounds had the chance to collaborate as equal partners, each with different but valuable experiences, perspectives and expertise to contribute. 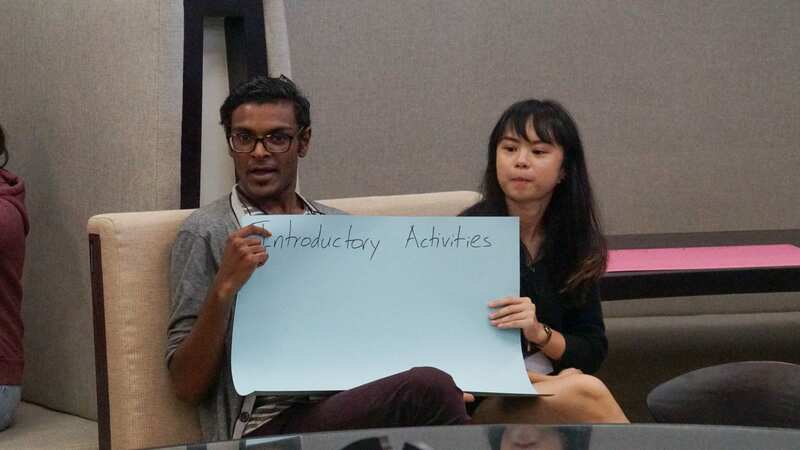 Participants parsed course feedback previously collected via surveys, brainstormed ideas for the next year’s course guide and identified ways in which university writing programmes could better address student needs in general. There is a growing field of inquiry, largely situated in the Scholarship of Teaching and Learning, into the potential benefits of student-faculty partnership. However, little research on this has been carried out in an Asian context, with much existing research coming from the UK, Australia and the United States. 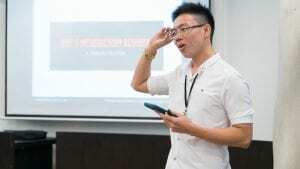 The conference was thus a fairly novel one for Singapore. We hope that combining student-faculty partnership and needs analysis might allow us to recommend best practices for both. On the first day of the conference, students, faculty members and professors shared their experiences with the course, as well as their individual views on the writing skills that students need to have and how they can best acquire them. Together with the course designers, the students examined the results of a post-course survey, identifying the areas of the course which needed the most work and which they felt most able to improve. Audience members react as student conference participants present their recommendations for changes to the course. Conference organiser and principal investigator Kristina Tom. 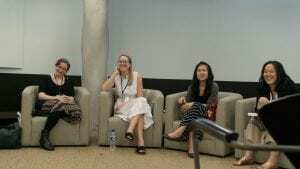 In a panel talk featuring Assistant Professors Christina Chuang (Philosophy), Jessica Hinchy (History), and Samara Cahill (Literature), panelists shared with students their own experiences with academic writing, struggle and even failure, reinforcing a sense of common experience. Following this, students broke out into small groups to address discipline-specific concerns with faculty members, with the aim of better understanding the needs of each particular discipline and how these might be better met by the HW0205 course. After this, a panel talk on interdisciplinary writing was helmed by Assistant Professors Graham Matthews (English), Michelle Chiang (English), Park Hyung Wook (History), and Lecturer Melvin Chen (Philosophy). 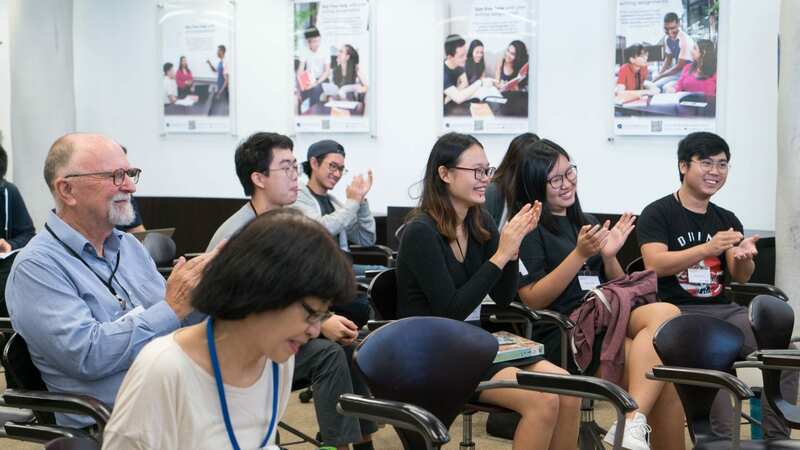 The discussion paid particular attention to the relevance of interdisciplinary writing to students at the undergraduate level, and how that relevance may change over the course of their academic careers. On the second day of the conference, students worked in mixed-discipline groups, each focusing on specific portions of the curriculum. 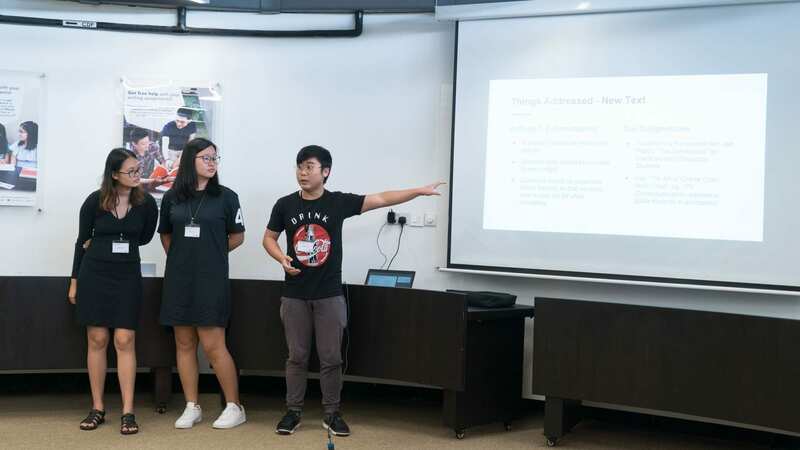 With support from the course designers and a set of curated reference materials provided by a team of NTU librarians, each group of students made concrete suggestions for ways in which the course could be improved, incorporating the results of their discussions on the first day. 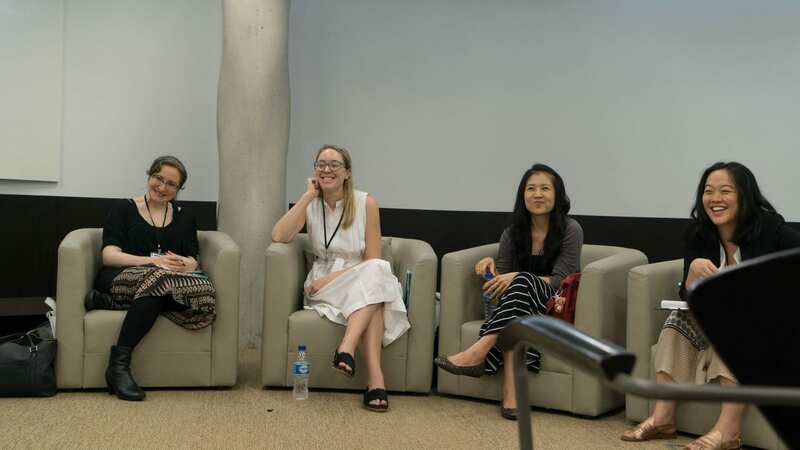 Faculty participate in a panel talk (L-R: Samara Cahill, Jessica Hinchy, Christina Chuang, Kristina Tom). 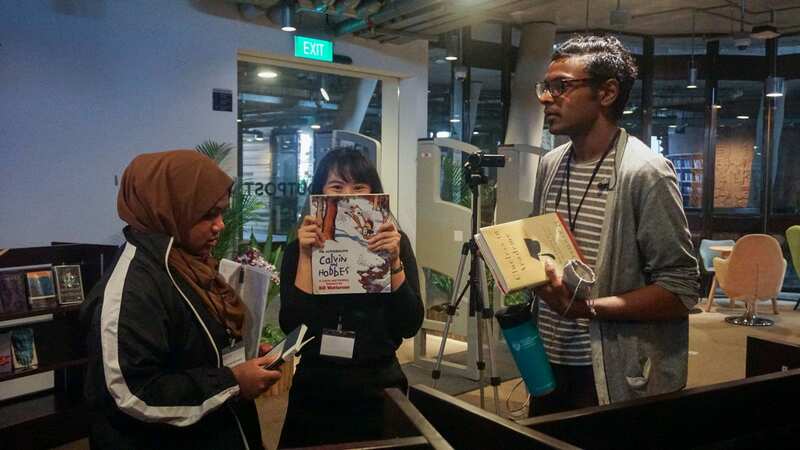 Conference participants had access to curated library resources online and at the Library Outpost at The Hive. Students and faculty formed small groups to work on curriculum development. Students present their recommendations on the final day of the conference. 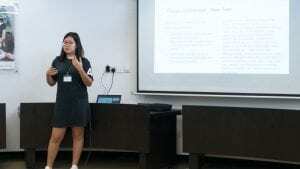 On the third and final day of the conference, the students presented the results of their group work to an audience of faculty members from the School of Humanities, Language and Communication Centre, and the School of Art, Design and Media. 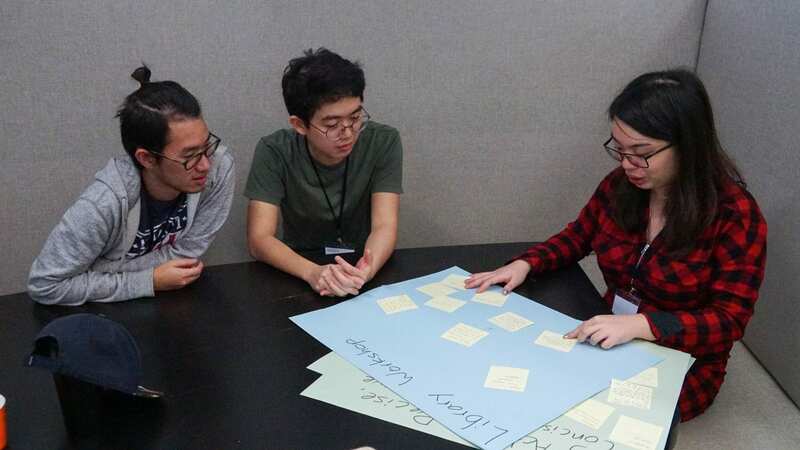 Many groups chose to redesign aspects of the course, from tweaking the presentation and layout of existing content, to creating entirely new classroom activities and readings. 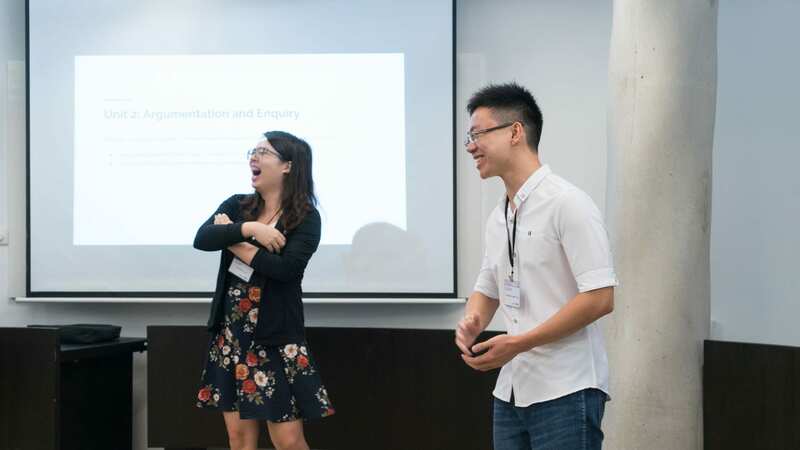 In a closing focus group facilitated by Dr Peter Looker, head of NTU’s Teaching, Learning and Pedagogy Division (which also provided the EdeX grant that allowed for the conference and its related research), student participants reflected on their experiences during the conference. There was a general sense among the students that being treated as equal partners is an experience that is not commonly found in Singapore, but a welcome one. 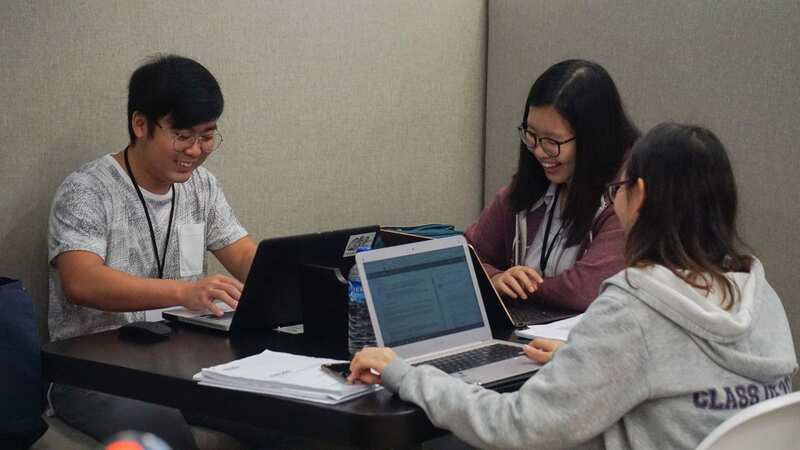 ‘We only talk to our professors in the lecture format, and we only see them in the front of the lecture theatre or auditorium, so it’s still a little bit of distance, as compared to here, where you sit at a circular table, and everyone has to contribute something. 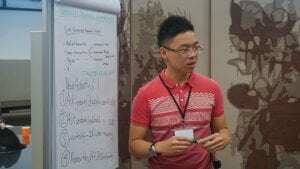 It’s a really different experience,’ said Cleo Tan, a conference participant and second-year English student. 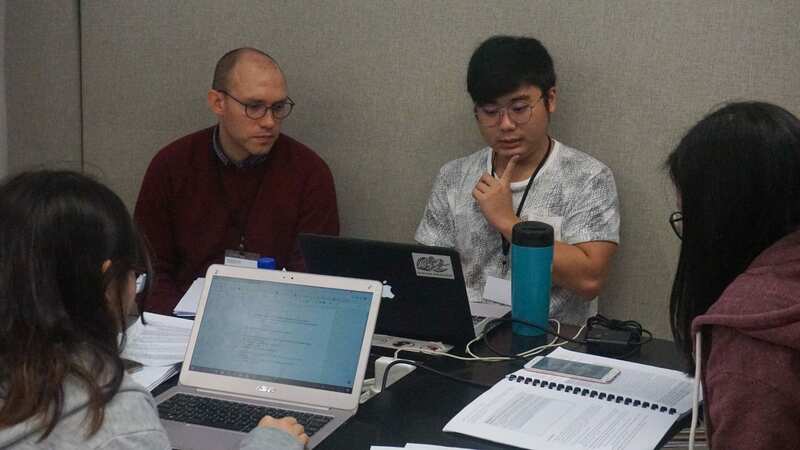 Following the conference, several of the student participants were hired to work as consultants, continuing their work on the course materials even after the conference had ended. 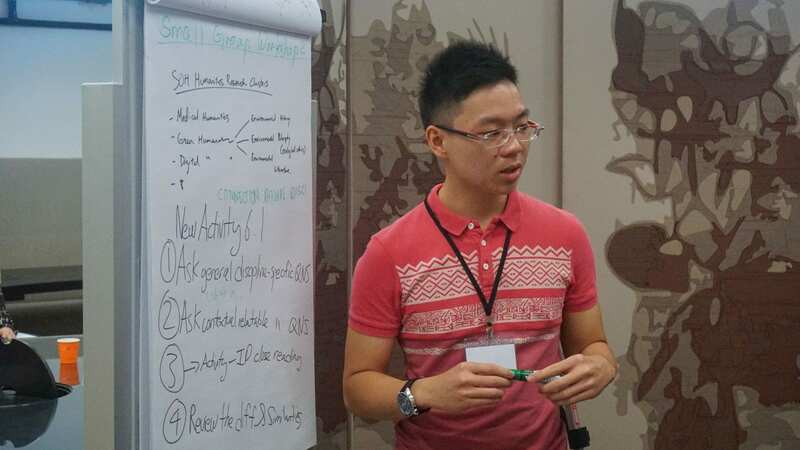 Their recommendations for change, in tandem with work produced at the conference, have already led to improvements in the current AY’s version of the course, with more changes slated to be implemented in future iterations of the course. This process of partnership is one that will continue and hopefully expand over the months and years to come, and the research team will be sharing preliminary findings with interested colleagues at TLPD’s Learning and Teaching Conference: from Good to Great in March. What would it be like if our courses were designed collaboratively by students and faculty members, with room for open communication and greater trust between all parties? We hope to find out together.